Minister of Public Health and Population Dr. Taha al-Mutawakil on Saturday emphasized the need to coordinate official and popular efforts to control the cholera epidemic. 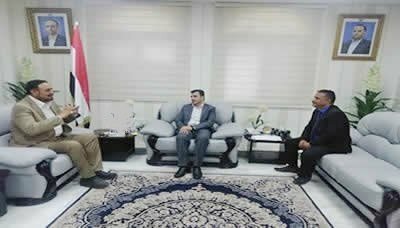 During his meeting with Mayor of the capital Sanaa, Hamoud Obad, the minister appreciated the role of the capital’s leadership in taking measures that contributed to the reduction of the spread of cholera. For his part, the capital’s mayor noted that the capital’s leadership has taken measures to prevent the entry of vegetables from the cholera-affected areas.